Premier League 2017/18 fixture list has been officially announced and the English clubs have now found out the full schedule of their matches in what is expected to be another excitement-packed campaign. 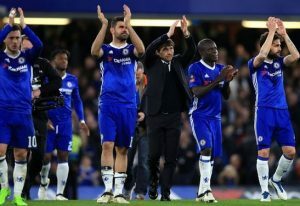 Premier League champions Chelsea begin their title defence with a home match against Burnley on the weekend of 12-13 August. The exact dates of games will be determined once the TV schedules have been announced. The league season will last until 13 May 2018, which is one week earlier than last season, since the FIFA World Cup in Russia will be starting on 14 June. Last season’s runners-up Tottenham travel to newly promoted Newcastle United, whereas their first home game at Wembley will be against the champions on the second weekend of the season. A couple of questions have been raised over the Spurs’ ability to produce consistent results at Wembley, where they failed to perform to the expected level in the Champions League last year. Pep Guardiola’s Manchester City travel to Brighton and Hove Albion, whereas the fourth-placed Liverpool open their Premier League season with a trip to Watford. Arsenal kick off the 2017/18 campaign at home against Leicester City, while Manchester United will also start from home as the Red Devils will welcome West Ham United. The first North London derby is scheduled for 18 November, whereas the Manchester derby is set to be played on 9 December. Perhaps a bit surprisingly, Manchester City have been installed as the biggest favourites to win the Premier League title next season as the bookies have apparently been impressed by the good transfer moves the Citizens have made already. Guardiola’s men can be found at 3.00 (2/1) betting odds to lift the trophy.